During the month of October it has become tradition for many to celebrate the season by watching a horror movie each day of the month. 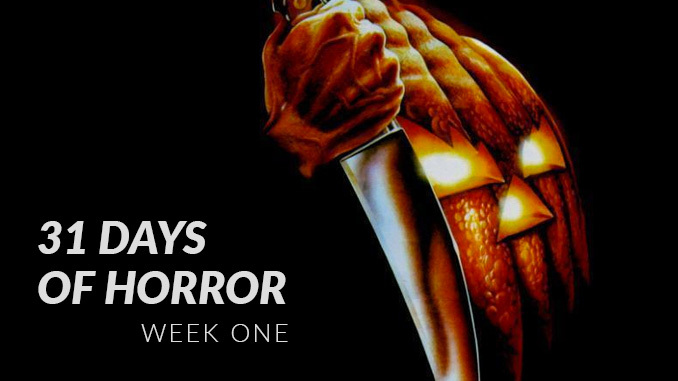 While it’s not always easy to find time to watch a movie each day, the horror genre makes it easier with hundreds of excellent films to choose from. This is the perfect time of the year to watch a horror movie you may not have otherwise considered. Each week in the month of October I will once again be recording my progress with a mini-review each day. I’ve selected movies from classic to modern and from family-friendly to terrifying. I will revisit films that I love, ones that I need to give a second chance, and even try movies out for the first time. All this while trying to balance different styles and sub-genres. This will be a challenge, but one that I look forward to during one of my favorite months of the year. Please join me, again, as I take this journey through October. It might seem odd to start the month with a family-friendly “scary” movie, but The House with a Clock in Its Walls definitely has that Halloween feel that we chase this time of the year. The film is based on a novel about a couple of wizards in a magical house searching for a doomsday clock. The wizards are played by Jack Black and Cate Blanchett and, while the movie has more focus on the young boy, Lewis, it’s the two wizards, and actors, who steal every scene. It’s a comedy, a fantasy, and a family film, but Clock relies on a lot of old fashioned scares. With Amblin producing, one has to wonder what the movie would have been under the direction of Steven Spielberg. Instead, we have Eli Roth trying to bring back some of that prime Spielberg magic. For the most part, Roth does an excellent job imitating Spielberg while making the movie his own. There are shortcomings, like stupid poop jokes, but overall the tone is right. Unfortunately, the biggest difference is the kids. The characters are fine, but the young actors never seem quite natural enough to sell it. 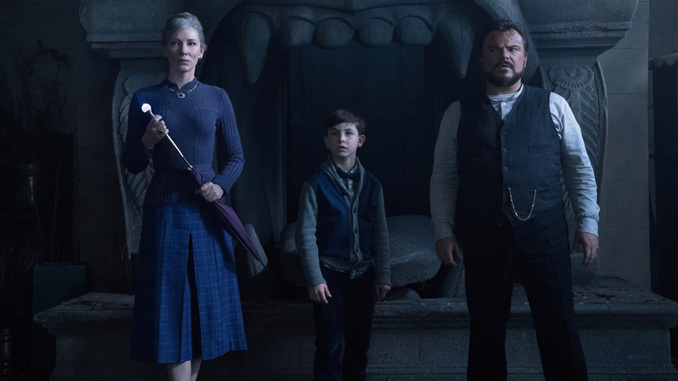 It may not stand up to classics like an E.T., Monster Squad, or IT, but The House with a Clock in Its Walls is a fun and welcome family movie with a spooky tone perfect for October. 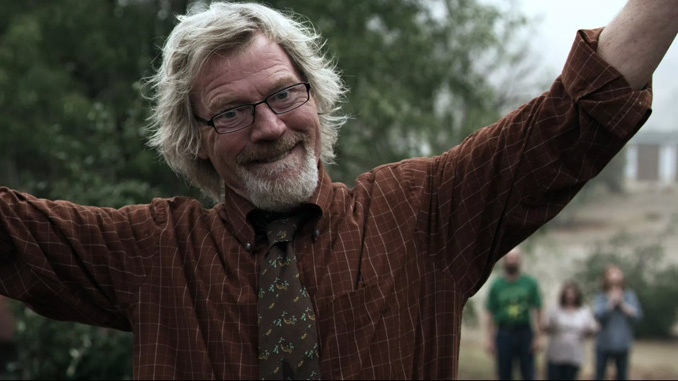 Red State is writer/director Kevin Smith’s first foray into the horror genre. It isn’t a ghost story, a creature feature, or a slasher film, the horror comes from something much more real. Smith uses the religious fanatics of a cult-like church, similar to the Westboro Baptist Church, to show evil. These unhinged people with a penchant for violence willing to do anything to protect and advance their warped belief system prove to be much scarier than most monsters or ghouls. Early on in the film the audience is told that no one is safe and when the standoff between the congregation and the ATF agents begins, things escalate quickly and don’t let up until the end. Even with an incredibly talented cast of seasoned actors including Stephen Root, Kevin Pollak and John Goodman, the movie belongs solely to the late Michael Parks. He has the most to work with as the charismatic, passionate leader of the church. There is never a moment where you think that Parks isn’t having fun as Pastor Cooper. 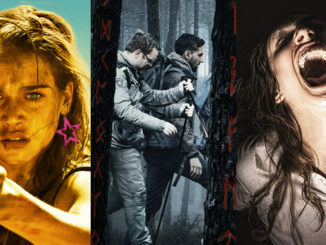 Despite the fantastic performances, I was left wanting more. Something felt like it was missing. The motivation is there: these are terrible people, and the result is there: the people do get what’s deserved, but everything was over as soon as it began. The movie isn’t perfect, but it is brutal, and knowing that these types of people can exist makes Red State all the more frightening. Before The Conjuring had a cinematic universe, we got a spin-off movie featuring the standout Annabelle doll from the first movie. It’s easy to forget that this was the second movie after the hugely entertaining Conjuring, and the majority of audiences and critics felt that it was a huge drop-off in quality. I am not one of those people. Now, I’ll admit that Annabelle never reaches the heights of the original movie or it’s sequel, The Conjuring 2, but it does offer some tense moments and decent set pieces. 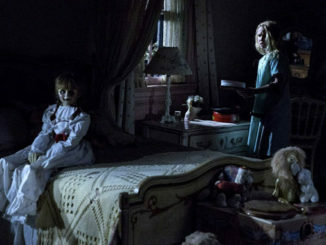 Many people have picked at the faults of the movie, and one of the main complaints is that the doll didn’t do anything. 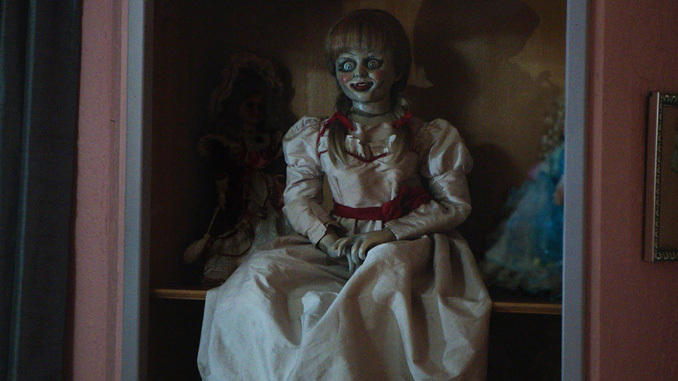 To that, there is an intense misunderstanding of what Annabelle, the doll, is. A demon has latched itself onto the doll, and that demon is the best part of the movie. Other criticisms like the actors being bland, the plot not making sense, and an over use of jump scares, I can get behind. However, I’ve seen this movie several times and still enjoy it with each viewing. With all its flaws, Annabelle is far better than a lot of horror movies that have come and gone since. My first “classic” of the month is one that I have only seen twice now. I waited to see The Shining for a long time simply because I didn’t care, but then I read the Stephen King’s novel, and what a novel it is. 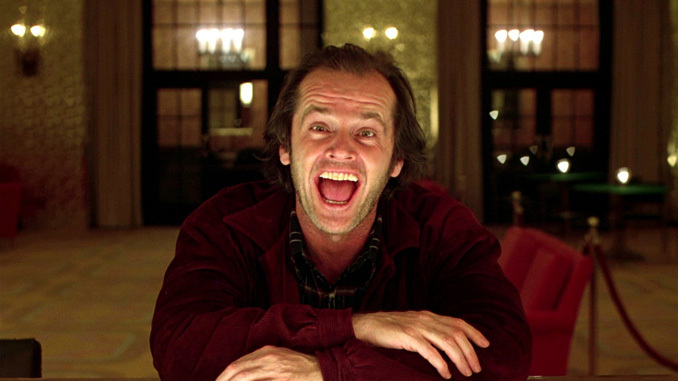 When I watched The Shining within hours of finishing the book, I was greatly disappointed. It isn’t nearly as great as the original story, but watching it this second time, I was able to look past the differences and I was blown away. From the tension-building music to every last iconic shot, every part of this film is near perfect. I know this isn’t anything new, and there really isn’t anything to add to the volumes that has been recorded about Kubrick’s greatness and behind-the-scenes trouble. With a new love for the film, another issue I had with it has been resolved. I never understood why people wanted to watch this each Halloween. It’s mostly set during the winter, and doesn’t have that specific seasonal spirit. Now that I can call myself a fan, I realize what a fool I was. Of course people make The Shining part of their Halloween tradition. 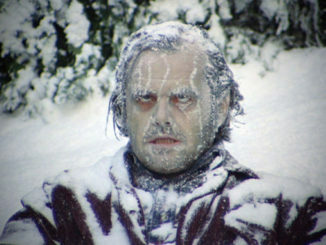 The movie embodies the season perfectly, and getting to see Jack Nicholson go mad is perfection. If you learn anything from my mistakes, it’s that you should give something you thought questionable at first a second chance. Hocus Pocus is a family movie, but if this doesn’t put you in the Halloween mood, not much else will. It’s incredibly atmospheric, and just plain fun. Bette Midler leads the cast as one of the Sanderson Sisters, three witches who come back to steal the children’s life force for eternal youth. It sounds a little dark, but completely over-the-top performances from the three lead actresses makes the entire thing worthwhile. In fact, without those performances, Hocus Pocus is probably unwatchable. There is plenty to pick apart, but a Disney movie that’s 25 years old is not worth the time. 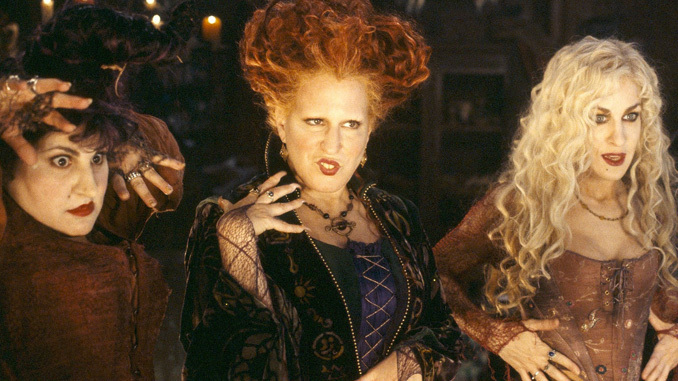 Go into Hocus Pocus knowing that you’re going to see the glorious ’90s. At one point, my wife asked me what a specific costume was supposed to be. It wasn’t a costume, it was the style at the time. So if you don’t already have nostalgia for Hocus Pocus, know that it’s flawed. But if you’re willing, you can have a lot of fun with Bette Midler’s favorite movie and the best performance of Sarah Jessica Parker’s career. After so many other “acclaimed” horror movies ended in disappointment, I was reluctant to watch Satan’s Slaves. It happens so regularly at this point, that I wasn’t ready to watch another filmmaker live out their intellectual vision for two hours. But, after Eric’s recommendation, I begrudgingly watched it. It’s not often that a filmmaker remembers what cinema is all about, fun. Indonesian filmmaker, Joko Anwar, gets the tone exactly right in Satan’s Slaves. I knew nothing of the film going into it, and frankly, that’s the way it should be. To give the briefest of summaries, Satan’s Slaves revolves around a family, mostly siblings, being haunted after the passing of their mother. There aren’t a lot of twists and turns, and in the hands of another director this could have been a terrible slog. However, within the first few minutes of the movie, I trusted Anwar completely. From camera work and lighting to the music, I could tell by the way each scene was shot that I was going to be on board. 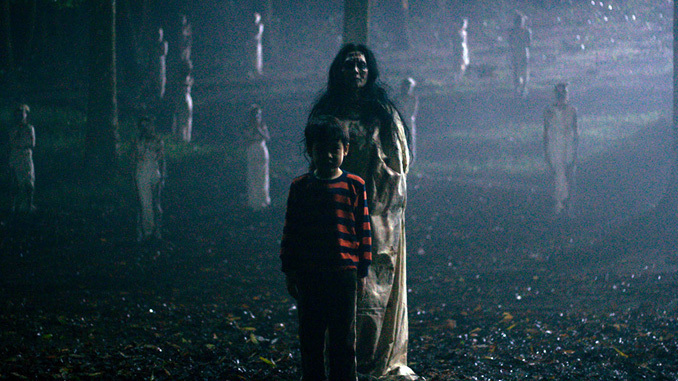 Anwar’s focus was on trying to scare an audience with a well-crafted tale. I was immediately reminded of James Wan’s films, and that both put me at ease and excited me. The biggest relief is that there is no overblown explanation of the events. Even the best horror movies can be derailed in the last act by seeing a monster too clearly or over-explaining the presence of a ghost. Thankfully, this was not the case. The explanation is simple enough and the stakes still feel pretty high, but not as high as my recommendation for Satan’s Slaves.